Taryn grew up in a different world. Her boyfriend was a criminal. His older brother was part of a gang. They weren't great people, but they were her family. Then everything changes when she's sent to a new family in the neighbouring town. New family. New friends. A new world. She's elated. This is her chance for a new beginning, but secrets start being revealed and Taryn learns her new life has some ties to her old one, ties that she's not happy about. Her new family might not have been the lucky break she thought she had. I hit the punching bag. They lied to me. It barely moved so I hit it again. They didn’t care that they lied. I gritted my teeth. My fist tightened and I rolled my shoulder back, lifted my wrist again, and bent forward into the stance. One foot was in front, the other behind, and I was on my toes. I was ready to switch them, jab back and forth, and bounce back as the bag should’ve been swinging to me. With a deep growl, I hit it as hard as I could. It moved an inch. “Duh.” I didn’t look as Tray came into the room. He left the lights off, and the only light on was the small lamp positioned over the punching bag. Sweat rolled down my back and I’d lost my shirt long ago. Standing in my black sports bra and a pair of boy shorts, I felt fine. I was heated, but not overheated with the air conditioner in the room. He circled around. I glanced down, saw he had kicked his shoes off as well. After another moment of studying me, he took his shirt off too. He tossed it to the corner, then tilted his head to the side, and his hazel eyes narrowed at me. A slight smirk lifted the corners of his lips. As he stood there, his muscles clenched. His chest lifted and he breathed in, his stomach muscles clenched in and then out. There was hardly an ounce of fat on him. We’d been sharing a bed for two months now, but as I drank him in, it was as if I was seeing him for the first time. Hunger and lust slammed into me. My mouth opened and I swallowed. Where the hell had this come from? One day Taryn is stunned when is told that a family have come forward that want to adopt her, being that she is only months away from her eighteenth birthday this seems strange but wanting something that she has never had Taryn goes but her only regret is leaving Brian and Jace behind. Taryn now has a new family, a new home, a new school and A Whole New Crowd to contend with. 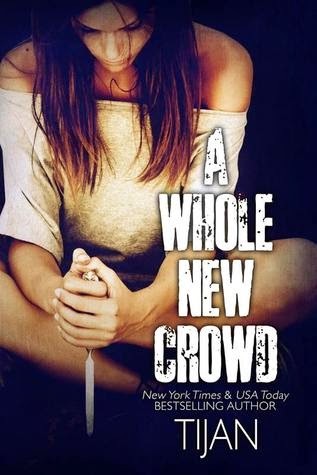 Going from the wrong side of town to the affluent part Taryn is suddenly surrounded by rich, trust fund babies that think that the world or daddy owes them a living. A culture shock for sure, but Taryn takes it at face value, she wants to leave her old life behind and try to make something of herself, she will keep herself to herself and take it from there. There are a lot of things about the change in Taryn’s circumstances that do not ring true and it is not long before her past crosses paths with her present. We are all aware that things are not always as they seem and this story is no different. It seems her past is well and truly intertwined with her present, can they be untangled and what will be the consequences? 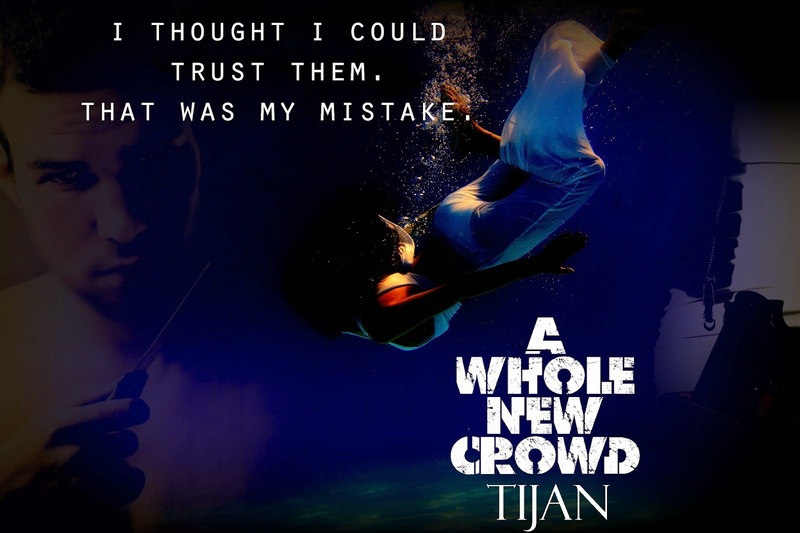 This book is fast paced and action packed in true Tijan style. My only negative is that in places it seemed rushed, especially at the end. But, with two broken and ballsy characters, Taryn and Tray you knew it was going to have fireworks. These two really did find themselves in this book. Tray going from one extreme to another when finally realising he had met his match in Taryn in more ways than one. Despite her connection to Brian she cannot deny the chemistry and draw that she has to Tray. These two were soul mates and with the journey that these two had in front of them, they were going to need that connection in more ways than one. This book will keep you guessing from one minute to the next, especially in the last 20% when the truth finally unravels. Everything you thought you knew will blow up in your face and it will definitely be a case of OMG really??? Tijan definitely has her “writing formula” and sticks to it, but each story is unique in it’s own way. This one is by far her most complex book, there is suspense, mystery and intrigue interwoven in this plot and one the carries through right till the very end. It will keep you guessing that’s for sure. This was a read that I enjoyed, it wasn’t a WOW book but definitely had the potential. Taryn could be a tad annoying at times but you forgave her easily. You could not help but champion her, she was individual, edgy, ballsy and unique, she told it how it was and had no fear at all. In short, you couldn’t help but love her. I can’t wait to see where this series is going, there are so many intriguing characters in this book that I can see A Whole New Crowd series having a lot of legs going forward. I will be reading for sure. “I won’t change,” I rasped out. Tijan started writing later in life, after she had already graduated college with a different direction in mind and a different degree under her belt. Hitting the brakes on that path, she taught herself how to write a good book and began posting at sites such as Fictionpress, along with Wattpad. After receiving such encouraging messages from readers, she self-published Fallen Crest High and has continued throughout the year. She continues to keep writing NA books!